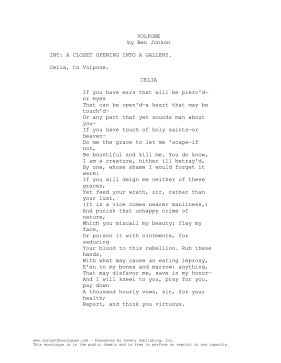 Intended for young actresses, this 1-2 minute monologue is delivered from Celia to Volpone in the play Volpone, by Ben Jonson. INT: A CLOSET OPENING INTO A GALLERY. Report, and think you virtuous.